Belgian architectural lighting manufacturer Wever & Ducré have a new pendant light. 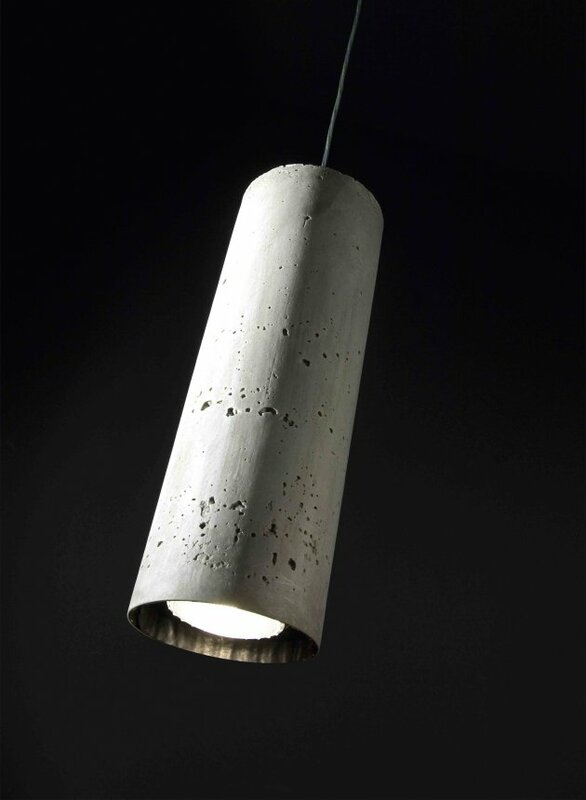 The Concrete Tube by Belgian designer Wall-y catches the eye immediately with its concrete look. It fits in perfectly with our quest for new materials and our love and respect for concrete. It should be said: this material is very hard to make, yet the result is magnificent. This hanging lamp gets its teeth into the room, as it were, and scores high on ‘cuddliness’. The Concrete Tube is ideal for minimalist homes, loft-style apartments, restaurants and offices. Visit the website of Wever & Ducré – here. The Quebec government commissioned the architects at Daoust Lestage to design the Promenade Samuel-De Champlain as part of the celebration of Quebec City’s 400th anniversary. Visit the website of Daoust Lestage – here. 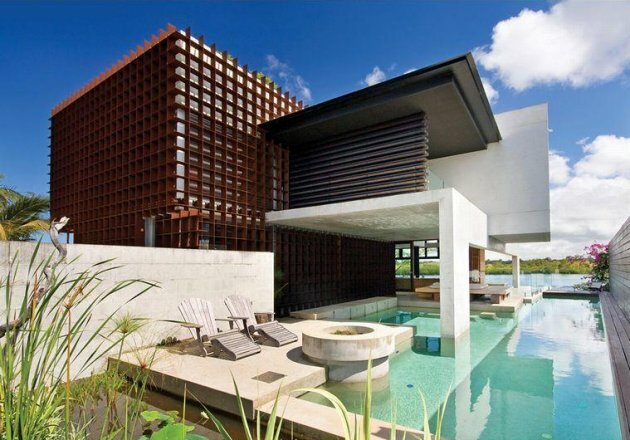 Located on Hideaway Island in the Noosa region of Australia’s Sunshine Coast is this house designed by local architect Frank Macchia. The 4 bedroom / 4 bathroom house is currently for sale, and the agents at Richardson & Wrench will be auctioning off the house on January 10th, 2009. 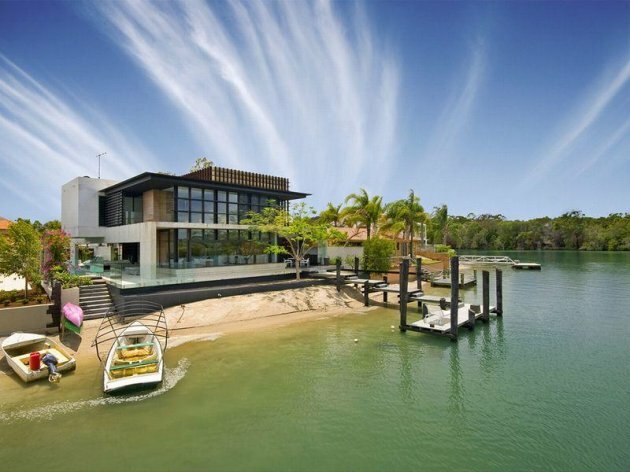 Visit the home’s listing with Richardson & Wrench – here. 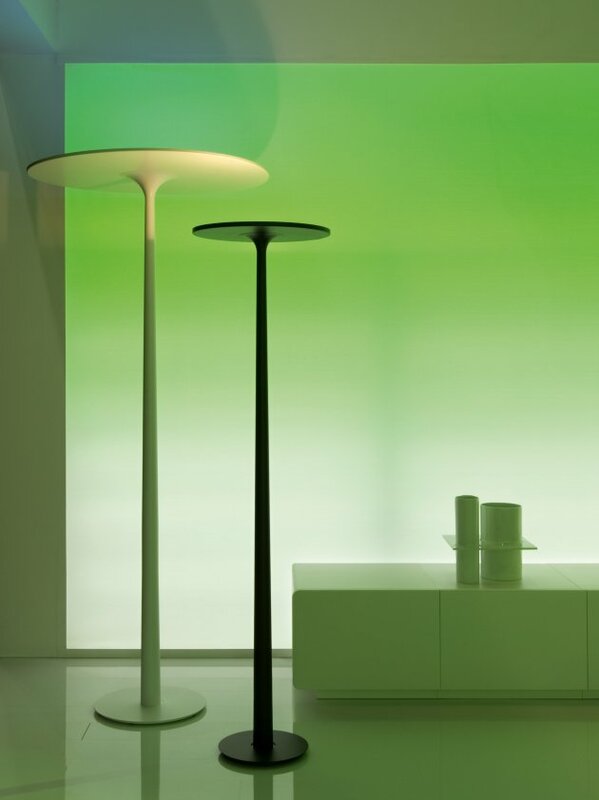 Italian manufacturer spHaus have provided us with photos of their new floor lamp THX 1138. THX 1138 is a freestanding lamp made of aluminium and painted steel. A large disc resting on a thin stem holds the light source: the light, generated by a combination of energy-saving LEDs, is diffused toward the ceiling for a sober, even effect. THX 1138 is available in two versions: one, a high impact design with one meter diameter disc, is an ambient installation. The other, of smaller, more commercially viable size, is a lot like a traditional stem lamp. Available in black or white. THX 1138 was designed by spHaus founder Filippo Dell’Orto. Visit the spHaus website – here. 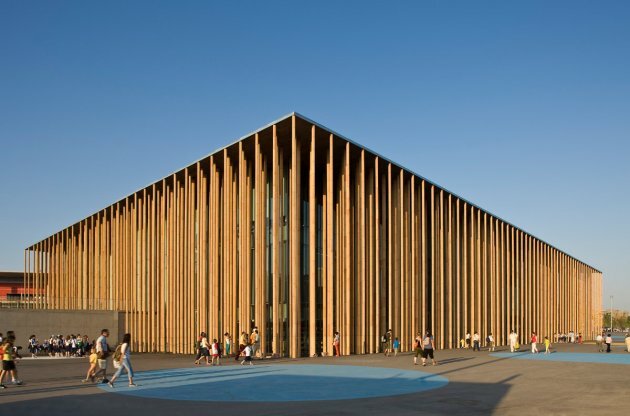 Expo 2008 in Zaragoza, Spain has been over since September, but now we can take a look back at the Spanish pavillion that was designed by architect Francisco Mangado. Evoking the space of a forest, or of a group of bamboos on a surface of water, has been the main aim of the project. On the one hand there is a desire to create a building mechanism able to generate incredible possibilities from the point of view of energy logic and environmental awareness, an essential and symbolic aspect for the Spanish Pavilion at the International Exposition of Zaragoza. But on the other hand, one of the most attractive spaces one may have deal with, both in terms of matter and light, is transferred to the field of architecture. 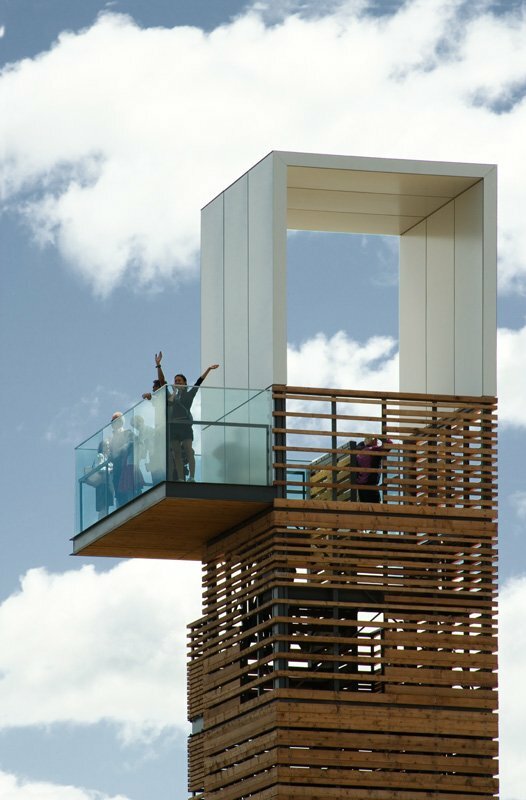 Changing spaces, spaces full of hints and nuances where concepts such as verticality and depth play an essential role. Visit Francisco Mangado’s website – here. German designer Martin Ballendat has designed a new chair for the Switzerland based furniture manufacturer Züco Bürositzmöbel. 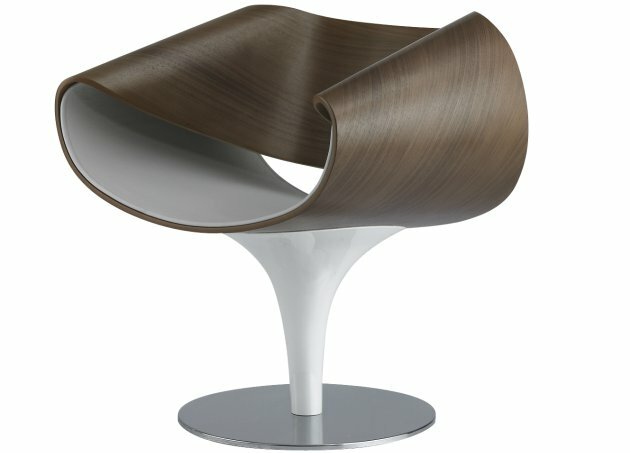 What is striking about Züco’s new Ballendat-designed lounge chair is its futuristic design and its extravagant appearance. The seat surface, backrest, armrests and sub-frame follow a flowing, uninterrupted line and seamlessly come together to produce a single unit. The front and rear surfaces are oriented towards each other and create a sensuous geometry. Martin Ballendat’s emotional design really does capture the spirit of the times. Visit the Züco website – here. Visit Martin Ballendat’s website – here.